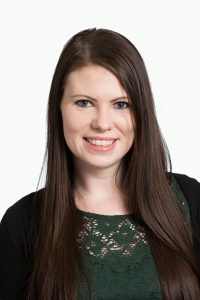 Next up in our ‘Five minutes with…’ series of posts, is Emily Gilbert, our Survey Manager here at Child of the New Century. As a Survey Manager here at Child of the New Century, I’m responsible for everything to do with designing the surveys and visits to all of the CNC study members. I help to write the survey questions as well as the letters and information leaflets you receive. I also train the interviewers who come to visit you. I studied for a PhD in Survey Methodology at the University of Essex, looking at how to design surveys in the best way to make sure the information that is collected is really useful. As I finished studying and started looking for a job, I saw this position advertised and thought I’d really enjoy working on a study like Child of the New Century. I’ve been here three years now; I started just as preparations for the Age 14 Survey began. I’m currently working on plans for the Age 17 Survey, and starting to think about what kind of questions we should be asking, and how we will ask them. I also work on the other studies that we look after here at the Centre for Longitudinal Studies, so at the moment I’m making sure that the interviews we are carrying out with the cohort born in 1970 are going to plan. I love every day is different – for instance, one day I might be writing a leaflet telling you what researchers have found using the information you’ve provided, and the next I could be training interviewers to collect a saliva sample properly! What is the most surprising thing you’ve learned about when you started working on the study? I was very surprised at all of the different kinds of information that has been collected over time. You and your families have given Child of the New Century so much of your time over the years, taking part in lots of different survey elements. This has meant that the information collected is so valuable to researchers today, and means you are all really making a difference to your generation and others! I have to agree with Vilma and say the question that asks what you want to be when you grow up. Study members were asked that question at ages 7 and 14. When I was 7 I would have said a wildlife photographer, and at 14 a marine biologist or a teacher! How do you get Pikachu on a bus? Poke-him-on! That’s a tough question! I’m a huge fan of nature documentaries, so probably Planet Earth. I really loved watching the second series recently. There’s a lovely little seaside town in Norfolk called Hunstanton – I love it. I spent a lot of time there with my family when I was a child, and have lots of good memories of fun summer (and winter!) days.